Shady foreclosure rescue organizations prey on victims by promising to help stop a foreclosure and save their home. What is more likely to happen, however, is that these organizations will scam you out of your money and end up costing you even more, without helping you in the slightest. It’s important to remember that if you are under the threat of foreclosure, you should work directly with your lender to resolve any issues. Typically, your lender does not want to foreclose on your home, and there are alternatives to foreclosure, including short sales. Any organization that makes promises that seem too good to be true, or that they know secret ways to stop a foreclosure that your lender won’t tell you about, is a disreputable organization that is trying to get your title away from you. 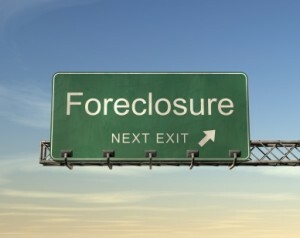 There are some signs that can help you identify whether or not an organization is actually a foreclosure rescue scam. If the company claims it can make back payments on your mortgage to your lender, be wary. It is also important to remember that if your existing mortgage lender will not let you take out an additional loan to reinstate it, no other reputable lender is likely to lend you money when you are in default. If they are offering to lend you money, it is highly likely it will be at a ruinious rate and they may end up foreclosing on you, themselves. If they want you to give them your title, and say that you can stay in the property as a tenant, and buy it back at a later date, they are probably lying to you. If they try to tell you that it is only temporary, it is also a lie. If you sign a deed and notarize it, it is permanent. Don’t forget that you have the right to stay in your home until the foreclosure is completed, which can often take as long as a year. If they offer to stop foreclosure as long as you pay a fee to their organization, they are clearly a scam. If your home is in the foreclosure process, there really isn’t a “secret” way to stop the process. You need to discuss with your lender what your options are, not a third-party organization that is asking for more of your money. If you are being scammed, there are numerous organizations where you can report the scams. This includes the Attorney General’s office, a local district attorney or even the FBI.